On the one-year anniversary of the Trump Administration withdrawing from the global Paris Agreement, seventeen U.S. Governors, representing over 40% of the nation’s population, announced a new wave of climate actions on June 1 as part of their efforts with the United States Climate Alliance (USCA). States that are part of this initiative are California, Colorado, Connecticut, Delaware, Hawaii, Maryland, Massachusetts, Minnesota, New Jersey, New York, North Carolina, Oregon, Rhode Island, Vermont,Virginia, Washington and the territory of Puerto Rico. As an example, the state of New York has directed state departments to reduce HFC emissions through regulatory, incentive, and capacity building. The NY Department of Environmental Conservation is monitoring the initiative and other agencies have been directed to work on this item. In his 2018 State of the State, New York Governor Cuomo directed state agencies to develop a comprehensive plan to reduce HFC emissions through a suite of regulatory, incentive, and capacity-building programs. The Alliance said it “invites all national and subnational jurisdictions, businesses and other actors to bring commitments to reduce short-lived climate pollutants to the Global Climate Action Summit in San Francisco, California this September.” More information can be found here. http://globalclimateactionsummit.org/. In 2015, the Environmental Protection Agency announced that they were going to phase-out HFC refrigerants through a new rule under Section 612 of the Clean Air Act. The new rule, SNAP Rule 20, set a schedule to phase-out HFC refrigerants like R-134a, R-404a, and R-410a. For more details on this rule click here. Although many in the refrigerant industry began to prepare for the next phase of refrigerants, a lawsuit, brought by Mexichem and Arkema, overturned SNAP Rule 20 due to the fact that EPA did not have authority under the Clean Air Act to target HFC’s. 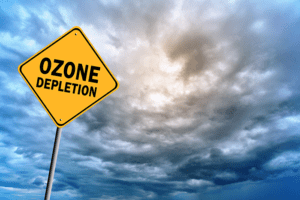 The Clean Air Act’s original intention was to phase-out ozone depleting refrigerants, and while HFC’s have high global warming potential, they are not ozone depleting. While Honeywell and Chemour’s appealed the courts decision, they were ultimately ruled against marking the end of SNAP Rule 20. Although the EPA has acknowledged that they will no longer enforce the rule, we know eventually HFC’s will be phased-out for lower global warming potential refrigerants like HFO’s. We would prefer that the state department adopt the Kigali Amendment, which sets the framework for a global phase-down of HFC refrigerants. Read our opinion on the benefits to the Kigali Amendment here. Without the Kigali Amendment, states will create their own phase-down laws, similar to what California’s CARB is doing. A worldwide phase-down would be much cleaner and easier for the industry as a whole. For now, we wait until the Trump Administration decides their course of action for HFC phase-downs. As seen in the, Cooling Post. 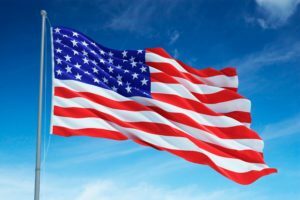 A bipartisan group of senators led by Republican, John Kennedy, and Democrat, Tom Carper, introduced a new bill called the American Innovation and Manufacturing Act, or Aim Act. The Aim Act paves the way for the Kigali Amendment giving the EPA the authority it needs to reduce HFC’s. This bill would ensure a phase down of HFC’s and provide a pathway for future technologies and the next generation of refrigerants. Previously, the Trump Administration stated they would need evidence that the Kigali Amendment had a positive impact on US jobs before they would consider ratifying it. The AIM Act hopes to answer those questions by supporting US manufacturing of the next generation refrigerants, protecting the environment, and also amending the Montreal Protocol. In an article written by the, Cooling Post. In 2017, the US Court of Appeals ruled that the EPA did not have the authority to reduce hydroflourocarbons, or HFCs, through the Clean Air Act. This section of the Clean Air Act removed certain high GWP refrigerants, like 404a, 410a, 134a, and 407a, from the EPA’s SNAP list for use in certain new products. However, this week the California Air and Resources Board (CARB) adopted the EPA’s previously proposed SNAP rules. California says they are working to reduce their emissions to mandated state and federal levels. Under a senate bill authored by Ricardo Lara, the Lara Bill, California will reduce its HFC emissions by 40% below 2013 levels by 2030. Due to the US Court of Appeals overruling the SNAP rules California passed its own regulations to stay in line with their goals.